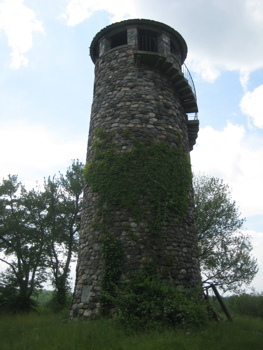 As this tower sits atop a small hill in what is now a state park, and as the writer of this website I must make everything into a list; there is already a Camp Columbia State Park page. It’s a lovely page and contains a trove of historic information about Camp Columbia. Seriously, you’d be amazed at what went on here during the 20th century. Don’t believe me? Go ahead and check out my page about the state park. It’s nuts, I’m telling you. And bonus: Different pictures! So there I was, randomly driving through Morris – yeah right. Has anyone ever uttered those words? Probably not. Anyway, I easily found the little parking lot off of route 109 and began my trek up to the tower. I wanted to get a bit of a flavor of the whole park, so I made a rather circuitous route via the fairly well-marked trail network. Which brings me to the tower. It’s not a lookout tower per se, although there are some western views IF you could climb up it. For you see, this rather handsome stone tower is closed for climbing. I approached the thing as two day-hikers were poking around the area. They appeared confused about my presence and sort of warily slinked away. Perhaps because I came from the south and the trail everyone takes normally comes from the north? I have no idea, but it was sort of weird. I hardly look threatening. 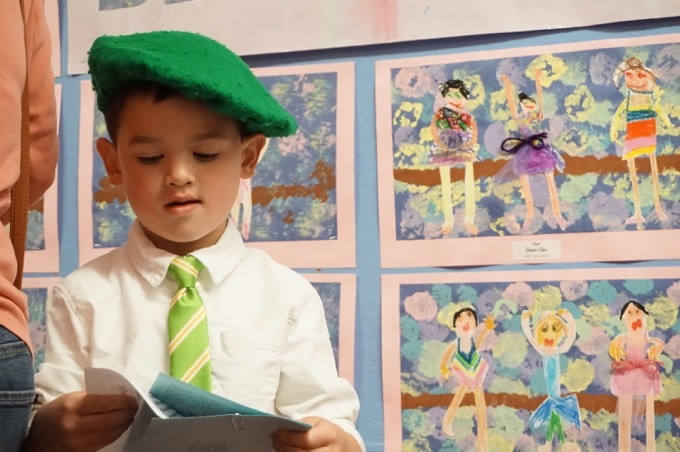 I determined they were letterboxing or geocaching – about the only 2 things I don’t do in Connecticut. 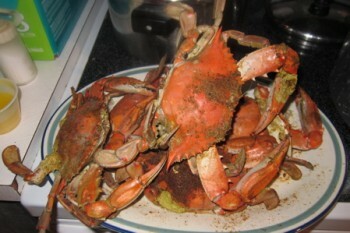 And I think they were actually watching ME to see my find whatever they were looking for so they could then follow me. I can’t imagine how disappointed they must have been. Anyway, like I said, the tower is closed. 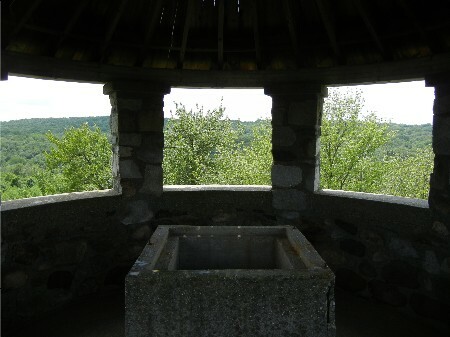 I noticed an upturned picnic table placed below an open window and thought to myself that it was placed like that to gain access to the tower. However I, being of high moral fiber, decided against the ascent. Luckily for us, a CTMQ reader and tower enthusiast is not made of such moral fiber and DID use that picnic table to climb up. While I officially can’t condone such behavior, the pictures he sent me are pretty darn awesome. The tower was, I think, actually a water tower. 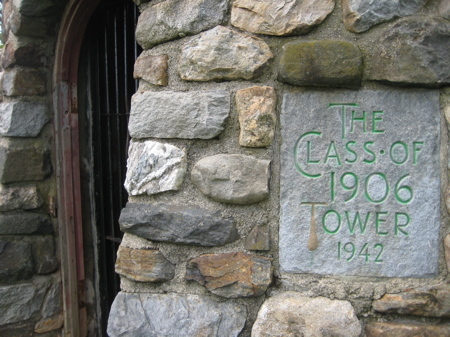 It was built in 1942 as a gift from the Class of 1906. I found the stone step encircling the thing to be very cool and strangely attractive to me somehow. Again, you should learn more about the state park (below), as it’s a pretty interesting little place. For the next time when, you know, you find yourself randomly in Morris. Ditto to the previous comment – I visited today (8/31/14) and the tower door was wide open. It’s a little dangerous climbing up the exterior stairs from the middle of the tower to the top, considering the missing stair and the low railing, but otherwise the observation deck is easily accessible. I heard it was haunted is that true? November 1st 2018 was a postcard worthy fall day in CT with unseasonably warm temps (into the low 70s in Central CT). Naturally I had to head for the hills of western Ct to check a couple hikes off my list. For those interested in exploring places a little off the beaten path I highly recommend you all check out the Meeker Trail at Macricostas Preserve! After that I checked out the nearby Steep Rock Preserve and on my way home (randomly driving through Morris) to my delight I stumbled across Camp Columbia State Park. Without any knowledge of the tower I figured I’d see if there was anything worthwhile and lone behold after a short (maybe 1/4 mile) walk from the parking lot I came upon the Tower. The door was wide open a group of 3 friendly folks around my age (mid 20s) told me it was safe to go up. 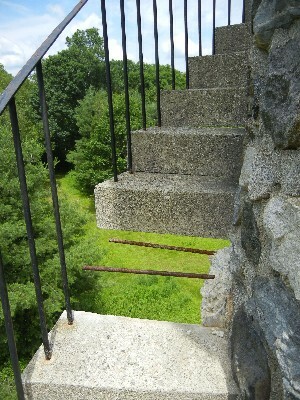 THE STAIRS HAVE BEEN REPAIRED and in seemingly great shape so it wasn’t at all sketchy. 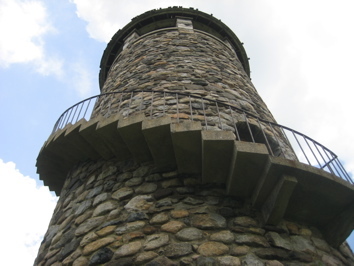 The views aren’t as awesome as the tower on top of Haystack in Norfolk but the tower itself is super neat, definitely worth stopping by if you’re out in that neck of the woods.